WebLearning commonly called as Web-based learning has got much attention as being an incredible and effective opportunity to train employees nowadays. One can clearly understand how the terms computer-based training, online learning, technology-based instruction, e-learning, e.t.c evolved from weblearning which is the first to get traction since the boom of internet and world wide web. 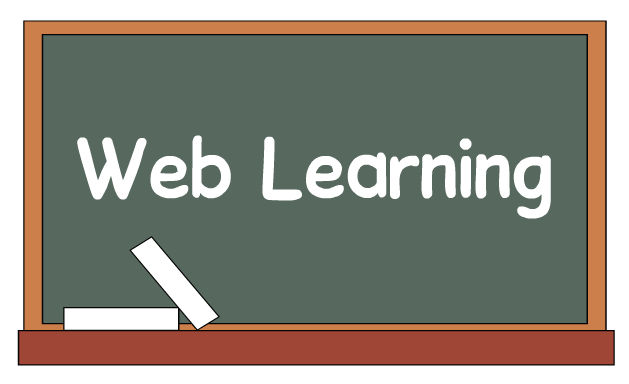 WebLearning is one way to learn, using web-based tools in a learning process. In other words, learners use computers mainly to interact with the teacher, other fellows and learning material which are available virtually. Web-based learning consists of technology that supports traditional classroom training and online learning environments. Exclusive web-based courses are wholly based on computer and online possibilities. In this case, all the learning activities and communication are done online. Web-based courses may also have some face-to-face sessions besides the distant learning tasks. In this case, they can be called ‘blended courses’ as they blend web-based activities with face-to-face activities. Ever growing technologies ensure that WebLearning offers a reliable, secure, scalable, easy-to-use next-gen solution to the co-existing offline classroom learning and training. Content which can be accessed for the sake of weblearning plays a major role as tools like articulate 360 and storyline complement weblearning for better learning outcomes. This is due to the creation of multi-device responsive and collaborative courses which are compliant on the web. That being the course perspective, technological compliance is due to the advanced and easy-to-use SCORM LMS for uploading the digitized content. These SCORM LMS are available on mobile as well. WebLearning is formal or informal. Formal weblearning is purposed and learning activities are organized by teachers which is held and managed in corporate companies and educational institutions. Informal weblearning takes place while one is searching material from the Internet. It is self-paced, depending on one’s goals to learn. Collaborative: Discussions with the trainer as well co-participants can be held which parallels with the interaction during offline training helping the learner to get most out of the training. Asynchronous: Learners and trainers can access the web-based courses irrespective of time and location limitations. All one needs is a computer with internet. Queries and discussion get in sync as soon as one logs into their respective accounts. Self-driven: The SCORM, AICC, TinCan technologies through which weblearning is made available helps in accessing the web-based courses for the learners and delivering the courses for the trainers all by their own. Engaged learning: Content digitization tools like Articulate 360, Articulate Storyline 2 make the learning interactive and fun. Articulate 360 is a diverse tool suite which can help us create formal as well as informal courses. All an L&D manager or an HR manager has to do is manage the content management system: which could be an LMS or HRMS. Manage your own virtual classroom with ease from any internet-enabled computer anywhere, anytime. Weblearning is not only making a learners job more engaging as well as result-oriented but also saving manager’s time and resources to focus on other important aspects for team’s growth or organization’s growth. With cost-effective and compliant Softwares and support requirements, you can concentrate on achieving quality learning outcomes for your people.